These files are zipped. You will need an unzipping program to access these files after downloading them. Due to recent storage issues, all downloadable files here at SPIKEMANIA have been moved to a Yahoo! Briefcase. Just click the link you are interested in, and a new window will open, taking you to the Briefcase. I apologize for any confusion. Spike was actually at Woodstock. They had music. 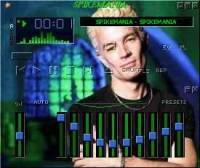 So does SPIKEMANIA. 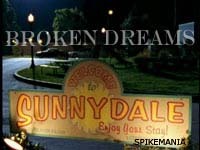 Download the Buffy theme song here. "Grr! Argh!" Need I say more? Download it here. 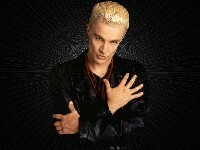 From the Buffy Musical, "Once More, With Feeling..."
Spike's song, "Rest In Peace." In this download, you'll get the mp3 and the lyrics to the song. The file size is close to 4MB, so it could take a bit to download. Download Spike's song, "Rest In Peace" and the lyrics here. This is my rendition of Green Day's Boulevard of Broken Dreams. You will need Window's Media Player to see it.